Favorites: Dreamfall Chapters from Red Thread Games, Fallout and Mass Effect are also favorites. Pokemon games are always a hit, as well as other handheld titles like Pheonix Wright. Sometimes you can find April playing the MMO Riders of Icarus. 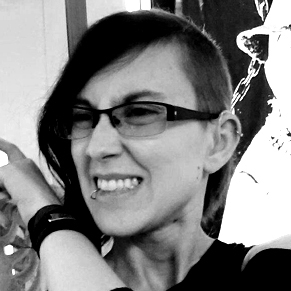 April has written for various sites since 2014, including the horror giant Dread Central. Her focus has run the gamut from indie games, anime/manga, virtual reality, horror films, and convention coverage. April has always been a huge video game nerd, ever since her dad put an original Game Boy in her hands. While it's been a long time since True Lies on Game Boy or the original Duke Nukem on Windows 3.1, April has staunchly continued her video game career. She has high hopes to be a community manager for BioWare or Bethesda someday.